We shortly review the uncoupling-coupling method, a Markov chain Monte Carlo based approach to compute statistical properties of systems like medium-sized biomolecules. This technique has recently been proposed for the efficient computation of biomolecular conformations. One crucial step of UC is the decomposition of reversible nearly uncoupled Markov chains into rapidly mixing subchains. 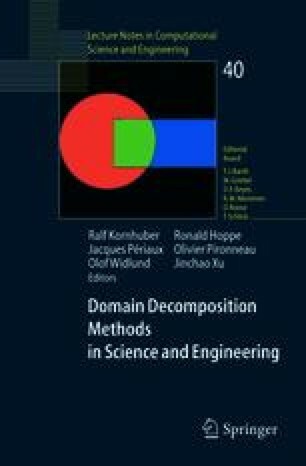 We show how the underlying scheme of uncoupling-coupling can also be applied to stochastic differential equations where it can be translated into a domain decomposition technique for partial differential equations. Supported by the DFG research center “Mathematics for key technologies” (FZT 86) in Berlin.